It’s time for your fresh helping of YATS! It’s Yet Another Tech Show with Mat Lee, Mike Rothman, Larry Press and myself, I’m Ant Pruitt. Thank you for coming to check out our show each Wednesday as we enjoy bringing you informative yet entertaining tech discussions. 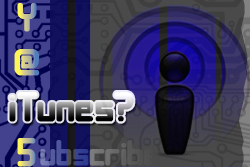 This week we’re joined by guest hosts Richard Hay and Patrick Jordan from iPad Insight. Be sure to click on their names for following their content on the interwebs. Ok enough with the formalities and introductions, let’s get into the notes. Welcome to episode 46 of Yet Another Tech Show, everyone. 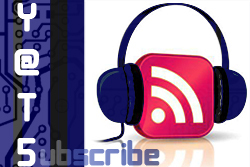 This is the technology podcast where tech evangelist provide you informative, but entertaining tech discussions. Thank you for joining us. This week on the show we have myself (Ant Pruitt), Mat Lee, Larry Press and guest host Mike Boudet. We thank Mike for joining us this week. Let’s get rolling with these show notes which are great to follow along as you listen our podcast.